At The Schott Group of RE/MAX Edge, we respect your right to privacy when registering on our site- StLouisStCharlesRealEstate.com. When you submit any personal information, your details will be used directly for creating searches and providing you with the most up-to-date real estate information, mortgage information and general information about living in the St. Louis area. We will, for instance, contact you to provide real estate guidance, and insight, in addition to supplying you with information to help with your real estate needs. 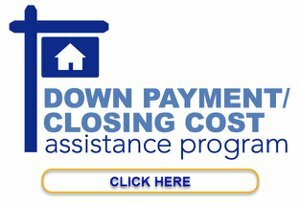 We may also provide you with enhanced services such as an e-newsletter and email alerts when homes that match your search criteria come on the market, or there is a price reduction. You can unsubscribe from any e-mail communication at any time. We understand that privacy online is important to users of our Site, especially when conducting business. This statement governs our privacy policies with respect to those users of the Site (“Visitors”) who visit without transacting business and Visitors who register to transact business on the Site and make use of the various services offered by StLouisStCharlesRealEstate.com (collectively, “Services”) (“Authorized Customers”). In order to use this website, a user must first complete the registration form. During registration a user is required to give certain information (such as name and email address). This information is used to contact you about the listings and services on our site in which you have expressed interest. We are the sole owners of the information collected on this site. We only have access to/collect information that you voluntarily give us via email or when you register on the site. You may choose to stop receiving our newsletter or marketing emails by following the unsubscribe instructions included in these emails or you can contact us at: dave@theschottgroup.com. If your personally identifiable information changes, or if you no longer desire our service, you may [correct, update, amend, delete/remove or deactivate it] by making the change on our member information page, by emailing: dave@theschottgroup.com, or by contacting us by telephone or postal mail at the contact information listed below. If you choose to use our share this article to tell a friend about our site, we will ask you for your friend's name and email address. We will automatically send your friend a one-time email inviting him or her to visit the site. StLouisStCharlesRealEstate.com and The Schott Group does not store this information, which is only used for the sole purpose of sending this one-time email. From time-to-time our site requests information via surveys or contests. Participation in these surveys or contests is completely voluntary and you may choose whether or not to participate and therefore disclose this information. Contact information will be used to notify the winners and award prizes. Survey information will be used for purposes of monitoring or improving the use and satisfaction of this site. We will retain your information for as long as your account is active or as needed to provide you services. If you wish to cancel your account or request that we no longer use your information to provide you services, contact us at: dave@theschottgroup.com. We will retain and use your information as necessary to comply with our legal obligations, resolve disputes, and enforce our agreements. You are completely responsible for all notes, comments, blog articles, pictures, videos, or other content that you place, display or link to on the website or send to other parties or users. You explicitly agree not to post or link to any other user or material that violates the rights of a 3rd party, including all copyright, trademark, privacy or other intellectual property rights of anyone, or that may violate any Federal, State or local law including the Fair Housing Laws of the United States. 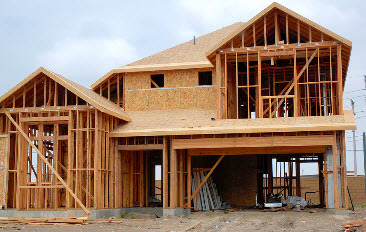 You agree that all content and materials for which you submit or blog to StLouisStCharlesRealEstate.com, and The Schott Group or its partners may be re-distributed by us via the internet or additional media channels, and may be viewed by the general public. For specific advice on legal, financial, accounting, insurance, or mortgage matters, you should always seek council from a professional who is licensed in that area, such as a mortgage professional, attorney, accountant or insurance broker. You understand that StLouisStCharlesRealEstate.com, and The Schott Group or its partners do not approve or control the content provided by others, such as the local MLS IDX feeds which displays property listings. The website is simply a service that allows users to view the information that has been submitted by others. 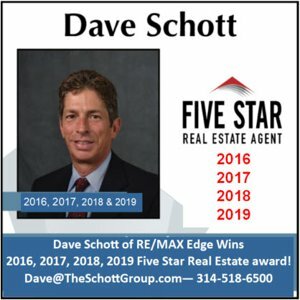 StLouisStCharlesRealEstate.com and The Schott Group is not liable for any representations or advertisements of the content provided by the area's MLS (MARIS). In no circumstances will StLouisStCharlesRealEstate.com, or The Schott Group be responsible or liable in any way for the content on the website, including, but not limited to, any errors or omissions of any content, or loss or damage incurred because of the usage of any content submitted, posted, emailed, transmitted or otherwise made available on the website. You agree to use the website and/or any services at your own risk. All materials on this website, including, with no limitations, the videos, design, slide shows, text, articles, search results, graphics, training materials, images, virtual tours, blog posts, pictures, files, and the way such is displayed are proprietary property of StLouisStCharlesRealEstate.com, and The Schott Group or its partners and are protected by United States and international copyright laws. You may not copy or redistribute any content without our written consent. If you have questions about using this website or copyrighted material, please use our contact form and we will reply promptly.